Our brand of choice is our own but we also carry Wayne Dalton, Amarr, Coplay and other brands. 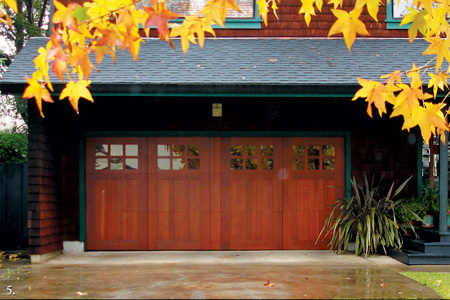 We make and design custom wood garage doors also known as carriage house style. We also offer custom made hand crafted door hardware. We sell to designers and contractors as well as other door companies. We also sell direct to residential customers for added savings. Come by and see how doors are made. 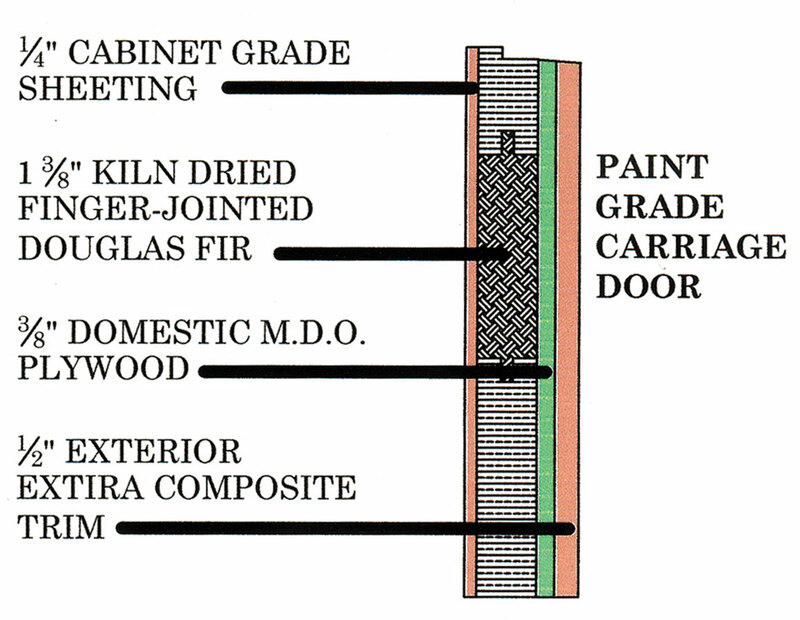 We use premium glue and only the finest wood on all our doors. Another great benifit is the insulation we use. You will not find a better constructed garage door period and we are willing to prove it and show you how we make your door. There are many manufacturers of garage doors that offer their products in Sacramento, with most offering similar options and quality. Of these there is Wayne Dalton, Amarr and Coplay. As a service to you we do offer all three of these brands as well as many others, with Amarr being a good choice if we do not make your door. We have been making doors over 50 years. During this time we have focused on delivering garage doors that exceed the standards for the industry and set the stage for the future. More often than not our doors are the only source for the most cutting edge products using the latest innovations in style, materials, and design. Our stain grade is made from 1/4" cabinet grade sheeting, 1 3/8" kiln dried finger jointed douglas fir, then another 1/4" sheeting. 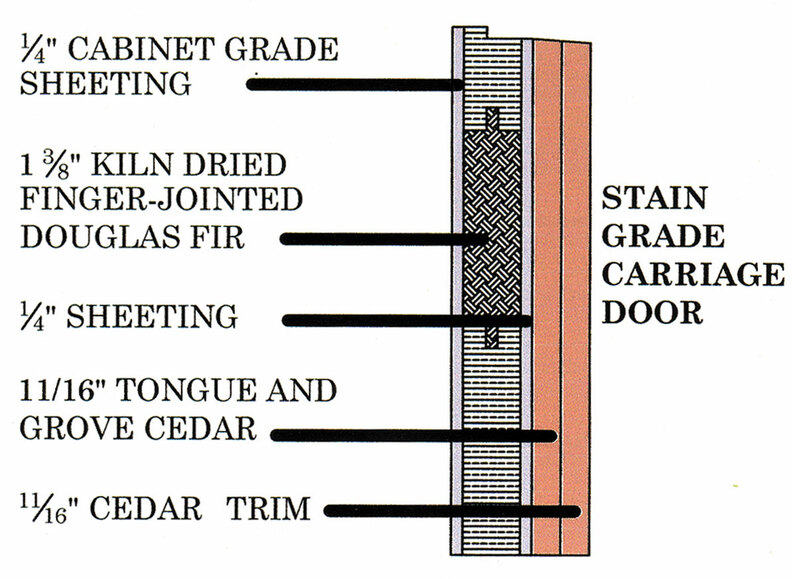 For the exterior facing we use 11/16" tongue and groove cedar with 11/16" cedar trim. 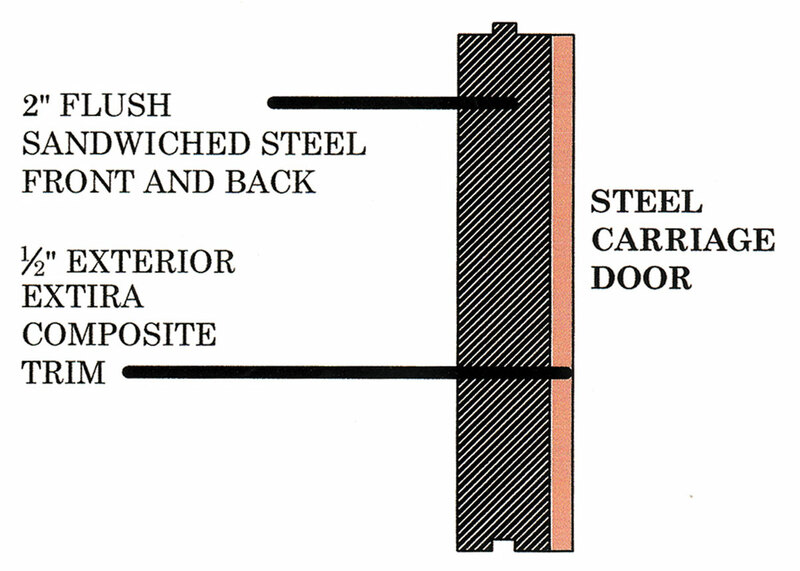 Our steel carriage doors are made from 2" flush sandwiched steel front and back. The exterior is made from 1/2" exterior extira composit trim.